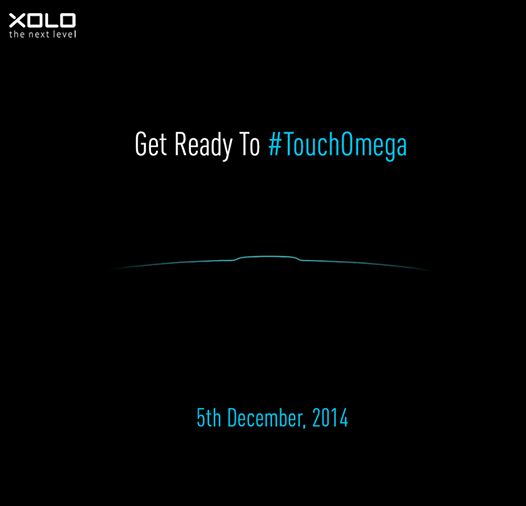 Xolo is going to launch its new Omega Series Smartphone / Smartwatch on 5th of december and Xolo will launch the product on Twitter only . You can just follow @MYXOLO on twitter to get uptodate . The Company is going to launch the product around 12 - 1pm around . Its not clear yet that this will be a Smartphone or Smart watch , but according to the pic its Seems to be a Smartwatch ! Lets see what big is coming on 5th December , 2014 ! You can also win that Device ! Xolo is also throwing a giveaway for the same ! You can Do the following to win the device ! Wait for 5th December ! Results will be out at 5th !